Our “quarry” was Chrysemys picta, the painted turtle, and the log held a couple of them, their colorful heads held high in the air as they eyed us warily. Problem was–or to be honest, problems were—I was none too speedy since this was only my second time in a kayak and I was not yet accustomed to piloting the unfamiliar vessel. In addition, each time I dipped the paddle into the lake I felt I was making enough noise to scare any turtle within earshot. (Question for Beth: Do turtles have ears?) And she wanted both fast AND quiet from me? I’d be happy to get close to the aforementioned log without hitting either it or Beth. Then, once I was at the log, there was going to be the problem of figuring out how pick up the 6-foot long turtle-catching net the kayak held, spot a diving turtle, then lean and scoop, all without losing the paddle or going into the drink. But, problems be damned. I gripped my paddle, focused on the turtles and headed toward the log following (kind of) in Beth’s wake. What was I thinking when I had agreed to spend an afternoon with her hunting turtles? We were out on a beautiful summer day on Springwood Lake, a private 80-acre lake east of Harrison, a small town in the middle of Michigan’s Lower Peninsula. 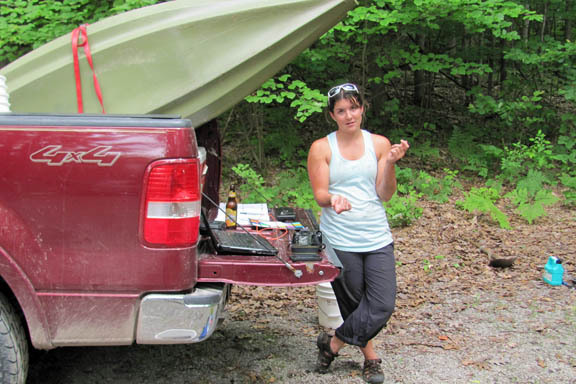 My companion and turtle catching mentor in the other kayak was Beth Reinke, who, at age 23, is a hopeful doctoral candidate and well on her way to being a renowned researcher of all things zoological, especially herpetological—your reptiles and your amphibians. She’s also my cousin. Beth is a petite, attractive woman with a ready smile, an inquisitive nature, a love of the outdoors and all things in it, including (no surprise) turtles. She is spending the summer traveling the eastern part of the United States conducting research on turtles. I don’t know what all of it means either, but I’ve copied it from her Dartmouth webpage because it sounds impressive. What I do know is that Beth loves field research and if she could spend her life conducting it, I think she’d be in herpetological heaven. Beth got the turtle bug—for lack of a better term—when she was a child and her family would travel from Indianapolis where she was spent most of her life to the family cottage in Wisconsin. 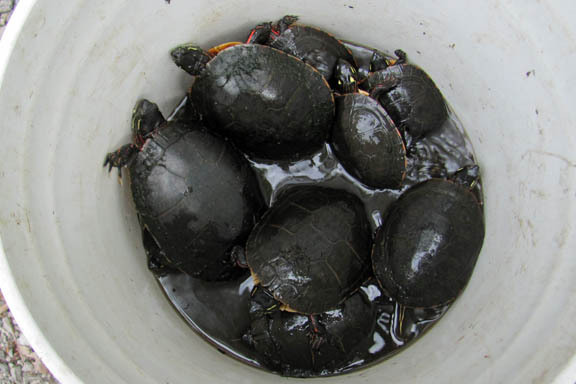 There she and her siblings and cousins would net turtles for turtle races. At Indiana U, she obtained a BA in Zoology, and Animal Behavior certificate, along with minors in Biology and Anthropology. During the last couple of years, she has taken part of a number of research studies, her name and research has appeared in a number of scientific journals and even traveled to England to make a presentation before The Society of Vertebrate Paleontology. But now, this traveling researcher was on my little lake and had invited me, a middle-aged rookie, to join her. The whole thing sounded like my kind of fun, so I readily agreed. We had already set five turtle traps near the shore using canned tuna for bait (sardines work just as well I am told). The turtle traps are simply minnow traps and each one has Beth’s name attached. (I should mention Beth is properly licensed to trap turtles.) And now we were trying to net turtles as they dove off of logs so information on each could be added to Beth’s ever-growing database. So how did this middle-aged rookie turtle catcher do? Not too well. After a couple of hours, I was wet, I was muddy and I had one turtle. One lousy Chrysemys picta to show for all my efforts. And Beth? 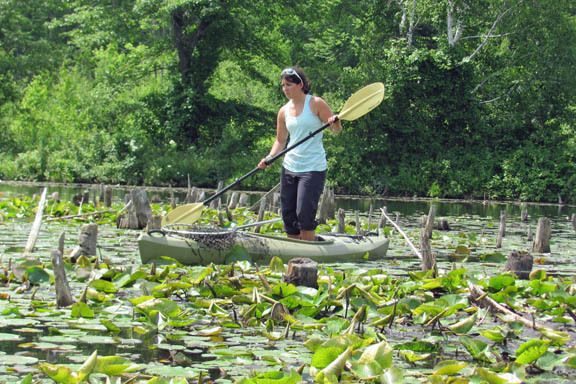 She had a kayak filled with 11 scurrying turtles. However, I did have a wonderful time and would do it again in a heartbeat. Back at the cottage, I sipped on a beer while Beth recorded information on each turtle. She then took them back to the lake and released them to bask again. All told (if memory serves), Beth is checking 30 or so factors and this fall, she will determine if anything she found this summer is of statistical significance and worth pursuing further as part of her doctoral thesis. Turtles aren’t her entire life. She recently took up roller derby after seeing an ad from the local team that said they were looking for “fresh meat.” (Kind of ironic that the wording on the ad appealed to her since she is a vegetarian.) She joined and has made many new friends. Just shows that Beth is always looking for new challenges, even those that come on wheels and require blocking and hitting. When it does, I want to be ready. Forget this catching one turtle crap. 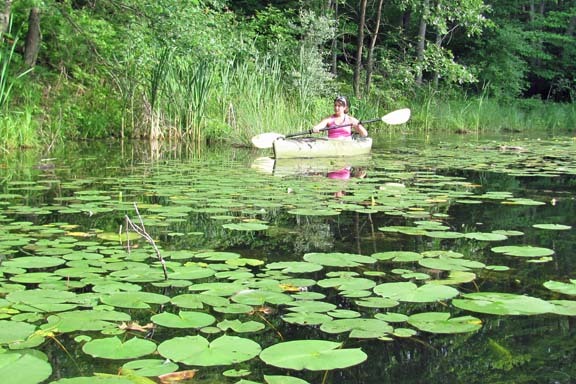 This entry was posted in Uncategorized and tagged Beth Reinke, Clare County, Dartmouth College, Harrison, Marty Johnson, Painted turtle, Springwood Lake. Bookmark the permalink. 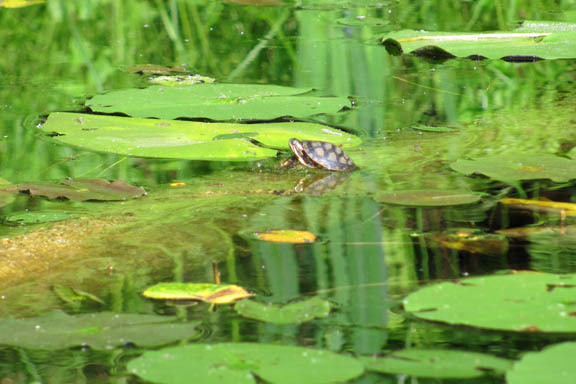 Pingback: Clare County, Michigan | Why are painted turtles painted?